When you’re moving from London to Canterbury, you may wonder if it’s really necessary to hire a removal company. What if you just do it on your own? You may think you could save some money if you did that and well, it shouldn’t be that hard, should it? If you hire Moving Service however, you will quickly come to realise you couldn’t have done without their help and service. We are much more than just a furniture removal company. 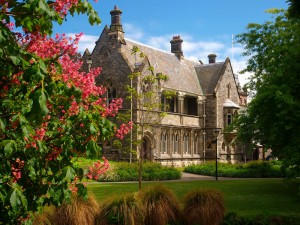 We give an all-round moving home service which is aimed to help you with your move to Canterbury in every way possible. The most amazing thing about our removal carrier is the price. Our services come at a very low price you’ll be astonished to hear. You can find out for yourself by calling 020 8746 4402 now. There truly are so many advantages to hiring a removal company rather than doing it yourself. Apart from all the physical hard work you’ll have to do which should in no way be under-estimated, when you have a reputable, trustworthy removals firm like ours on board, you always know that come removal day you have a top-class removals business that will be there on time to do the work for you. The difference between knowing you have to empty a whole house full of furniture all by yourself and on the other hand knowing you have a professional team of removal men who will be doing all the work for you is immeasurable. Even if it’s just a man with a van service you need, this can mean the difference between an extremely stressful house move and a stress-free home relocation from London to Canterbury. 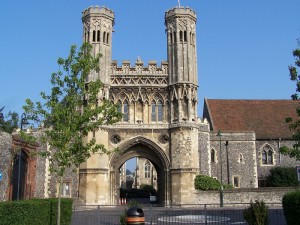 As for Canterbury, it’s a cathedral city which has played a major part in the history of England. First founded in 597, its cathedral was completely rebuilt between 1070 and 1077 and still stands today. Canterbury has always been an important place of pilgrimage throughout the ages which amongst other things, was the inspiration for Chaucer’s famous Canterbury Tales. Today, this city which lies on the River Stour has a population of approximately 43,000. As well as the cathedral, Canterbury is home to the Marlowe Theatre named after the famous Christopher Marlowe who was born in the city. These are just a couple of reasons why Canterbury is such a major tourist destination and one of the most visited cities in the UK. When you’re moving home or office to Canterbury, the great thing about hiring our particular removals carrier is that we can do so much more for you than simply transport your household belongings. We have a number of removal services which will help you in the build-up to your removal day. For instance when it comes to packing, this can become a never-ending nightmare. With our removals business however, we have a packing and unpacking service which provides expert packing from our team of dedicated professional packers. We also have a wide range of packing accessories you can choose from so whatever it is you need is always on hand. For those items you will not be able to take with you to Canterbury but you don’t want to lose, then we have secure storage space available for you long-term or short-term. These are just some of the reasons you should hire our top class but inexpensive removal services. To find out more reasons and to hear how amazingly low our prices are then call us now on 020 8746 4402. By hiring Moving Service moving from London to Canterbury will suddenly seem a whole lot easier.